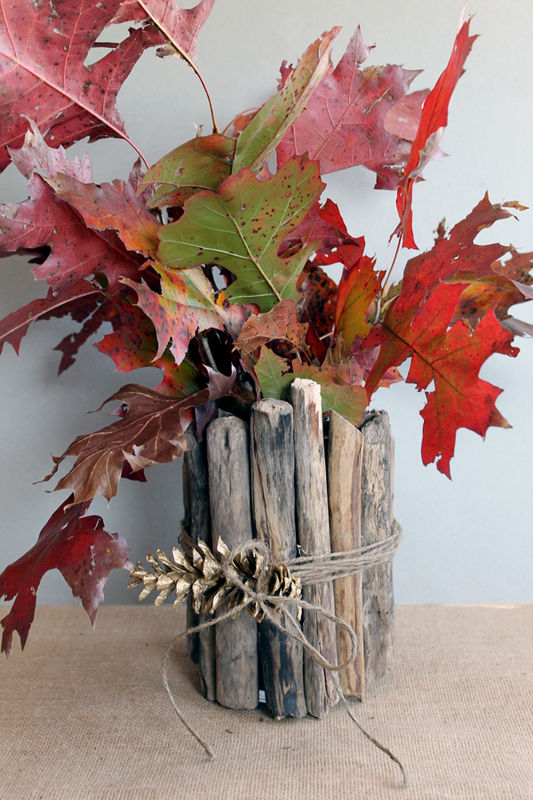 Want to learn how to make a driftwood vase? I have the post for you! You can use this same vase to decorate for a variety of holidays. Below I will show you how to dress it up for Christmas and for fall (Thanksgiving maybe?). However you can use this same idea to dress up this vase for anytime of the year. Think snow covered pine cones and fluffly snow covered branches for winter. Add in a set of flowering spring branches will look great when the weather turns warmer. I am sure you can keep coming up with ideas. 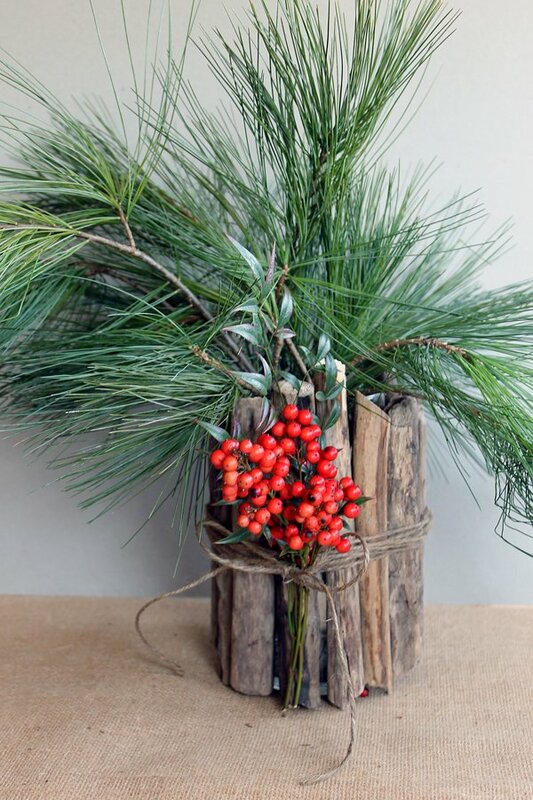 So be sure to make a driftwood vase today for use all year round! This post is sponsored by Old Time Pottery. You can get full details on how to make a driftwood vase by clicking here and heading over to my post on the Old Time Pottery blog.